Sally Hepworth has lived around the world, spending extended periods in Singapore, the UK and Canada, where she worked in event management and human resources. She is the author of The Secrets of Midwives, The Things We Keep, The Mother's Promise and The Family Next Door. Question: What inspired the story of The Mother-In-Law? 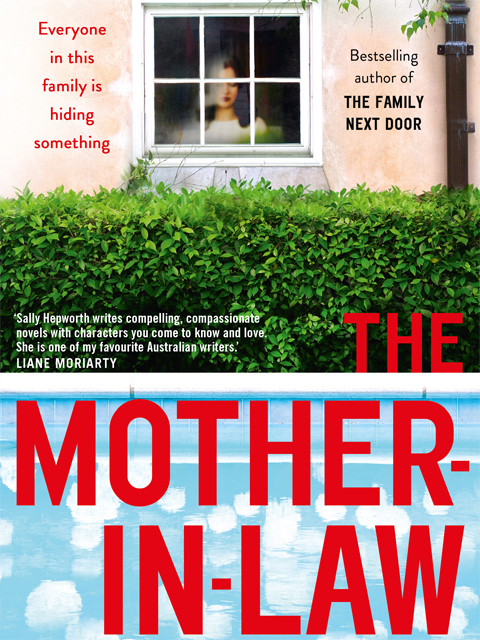 Sally Hepworth: I think it was around the time I had my first child that the conversations started up among my friendship circles about mother-in-laws. 'My mother-in-law is awesome. She stays out of our business and always offers to look after the kids to give me a break.' (We never liked this particular friend. Her kid always slept through the night too). As for me, my mother-in-law lives in the UK, so I didn't have much of a point of reference. It made me curious. What was going on in this relationship that made it so troubled. Several years later, when looking for a topic for a novel, I decided this could be interesting to explore. And what better way to start any novel, than with a murder? Question: What do you love most about writing compelling thrillers? Sally Hepworth: Actually I don't really think about my books as thrillers. Though the last couple have had a crime at the centre of it, I still think of my books about being about relationships, with a dash of suspense on the side. Question: Can you tell us about how you navigate the relationships with your own Mother-In-Law? Sally Hepworth: As I mentioned above, she lives in the U.K. (and so we get along famously!) But I do communicate with her regularly, more often than my husband does, in fact. A lot has changed in the past generation, but women are still the heart and soul of the family and I'm grateful that we get along. Question: Are you able to talk us through your writing process? Do you set word count goals? Sally Hepworth: I write 10 hours a day, 4 days a week at my local library. I write at the library for several reasons. The main one is that I think it's important mentally for me to physically go to work. Somewhere outside my house. Somewhere I won't be tempted to put on a load of laundry or empty the dishwasher or take a nap (mostly the nap). Once I get to the library, if I'm writing a first draft, I'll focus on work count"around 2,000-3,000 words a day. If I'm editing, I'll focus on how many pages / chapters I want to edit that day (usually around 3-5 chapters). I don't always get to my goal, but it helps to aim for something. As for my process, many writers identify with being a plotter or a panster (a panster doesn't plan the novel, he or she just sits down and starts writing). I used to consider myself very much a plotter, but I think that was to do with the fact that at the time I was learning about writing craft and I was determined to make sure I was ticking all the boxes. These days, I'm closer to a panster. I'll never be a true pantser, because I'm required to submit a synopsis to my publisher before I start writing a book, which forces me to think the book through to the end before I write a single word. But I don't by any means, plot out every scene, and most of the time, I just sit down and see where the story takes me. Sally Hepworth: I'm currently editing my 2020 book, which is about three couples who end up at a swingers party.